Who remembers the Noel Edmonds Radio 1 Breakfast Show in the 1970s? There are still some very good contemporary Radio Breakfast Shows – I listen to Simon Bates’ Smooth Radio Breakie Show whilst my girlfriend Josie is a big fan of Chris Evans, at the helm of Radio 2’s flagship. Both Bates and Evans are consummate professionals who bring much energy and entertainment to breakfast time. However when it comes to slick, humorous, creative and inventive broadcasting, Noel Edmonds Radio 1 Breakfast Show in the 1970s has never been surpassed. Noel Edmonds hosted the Radio 1 Breakfast Show between 1973 and 1978, replacing the original Radio 1 Breakfast Show DJ, Tony Blackburn. Their style of presentation was very different. Noel Edmonds brought a certain cheeky humour, intellect and creative flair to the airwaves. He had a cheeky irreverence, no doubt partly inspired by Kenny Everett’s zany antics – the man he replaced on Radio 1 in 1970. Noel Edmonds was the first radio DJ who really engaged my imagination – he truly understood that “Radio is the Theatre of the Mind” and duly filled the Breakfast Show stage with madcap characters and props. Do you remember his early morning dialogue with Flynn The Milkman and the Welly Stickers competition? – Radio 1 received 250,000 entries for these stickers with only 250 winners!! Other competition prizes included the infamous and much sought after Radio 1 gnomes, fairies, loofahs, and a balaclava with the hole on the wrong side. Later came the Silly Phone Calls, where he wound up listeners with prank calls, proving to be a master of different voices and accents. Then there were other wind ups, such as the April Fool Trick in 1976 where he pretended he was broadcasting live from a passenger jet, flying from London Gatwick to Scotland. Many listeners were patiently waiting at Aberdeen airport to see Noel arrive, only to discover that the whole broadcast was an elaborate hoax! 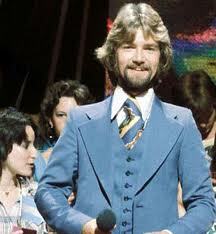 When the sad day arrived in 1978 and Noel Edmonds stood down from the Radio 1 Breakfast Show to be replaced by the “Hairy Cornflake”, Dave Lee Travis ( DLT ), Noel was given a blank canvas on Sunday mornings from 10am to 1pm to create his own cosy imaginary world of “Dingley Dell”, a cottage somewhere in a rural enclave. Noel’s co-host and foil was the famous wartime veteran BBC announcer John Snagge. Having survived the threat of flooding to make way for a hydro electric power station and accompanying reservoir ( remember the “Save Dingley Dell” protest car window stickers? See below ), the cottage in “Dingley Dell” ultimately succumbed to the bulldozers when it was eventually demolished to make way for a bypass road. Noel Edmonds then moved his Sunday morning show to the fictional “Perkins Grange” in the same village of Dingley Dell – a vicarage owned by the eccentric, dry deadpan Radio 4 broadcaster Brian Perkins, who acted as Noel Edmond’s sidekick. Here he continued telephoning unsuspecting members of the public pretending to be an awkward, officious council bureaucrat with a ridiculous proposition that would make their lives hell, or at least very unpleasant. Inbetween a host of other features, children’s stories were read incongruously by famous personalities such as Sir John Gielgud, including Thomas the Tank Engine and the Captain Beaky poems. When Noel Edmonds finally turned his back on Radio 1 in 1983, it was a sad day for all his radio fans and listeners who like me adored his particular brand of silly but highly imaginative and inventive radio broadcasting. Of course he incorporated many of the same ideas in his long running Saturday night TV show “Noel’s House Party”, including the rambling old house in another fictional village “Crinkley Bottom” and the celebrity wind up “Gotcha Oscar Awards”. However his TV show lacked something because Noel Edmonds has a fantastic, silly, surreal imagination and as such he was totally at home and in his element in the “theatre of the mind” that is radio……..
Share your memories of Noel Edmonds’ Radio 1 shows and other favourite radio shows for that matter, in the Reply Box below. Can’t help you with that one!! My memories of circa 1974 / 1975 are somewhat sketchy. The record you’re thinking of is by Rupert Holmes and it’s called “Our National Pastime”. He often used to choose quirky records like that as records of the week. And of course Rupert Holmes’ Escape ( Pina Colada Song )was pretty quirky. Probably the quirkiest song championed by Noel Edmonds was Keith Michell’s “Captain Beaky”. It’s often forgotten that Noel used to play some really great music on his Sunday morning show – the only radio programme where I have ever heard one of John Denver’s best songs, Autograph. He also used to play a superb instrumental which I’ve never found on LP or CD, but I think he mentioned it was the theme to a Red Arrows TV programme if anyone knows of it. Thank you for your comments. The Red Arrows instrumental was by the ODS Band and called “Fly”. It was released as a 7″ vinyl single on BBC Records. I have it in my record collection and totally agree with you that it was a superb piece of music. Thanks Simon, you have made my year by reminding me of that tune by the ODS Band and ‘Fly’. I’ve been searching for ages trying to find a link to it. I remember it well from Noels’Sunday morning show in the late 70’s and even had the 7 inch single back in the day, but sadly, no longer have my vinyl collection. Radio 1. 7.30 am. One track followed the news. And then – Mornin’ Greaser! Ere! Did you know . . . . . and Flynn then entered into one of his many mindless conversations with Noel. ‘A Gnu boom sweeps Cheam’ was one that sticks in the mind (how sad) which if I remember correctly was something to do with a breed of Gnu’s being introduced into the Cheam area of London. They were especially efficient in consuming all kinds of rubbish in their path and everybody wanted one – apparently. A Gnu boom sweeps Cheam. A new broom sweeps clean. Get it? Oh come on, you had to be quicker than that in Noel’s day. Put Flynn back on air I say! Thanks for the trip down Memory Lane / Cheam High Street!! Noel really was an inventive broadcaster, clearly inspired by Kenny Everett but nevertheless talented and very creative in his own right. He fully understood that radio is the “theatre of the mind” and exercised his and the listener’s imagination to the full.Great radio, happy days! !